Apple’s never-ending quest to make its devices thinner may soon have a new victim: Your iPhone’s headphone jack. The next iPhone—expected to be unveiled in mid-to-late 2016—might not come with a standard headphone port, according to a “reliable source” cited by Japanese tech site Mac Otakara, via 9 to 5 Mac. 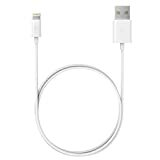 Instead, wired headphones would need to plug into the iPhone’s Lightning port, or via an adapter, likely sold separately. Wireless headphones, which are increasingly common but still expensive (and require charging) would work as expected. If true, this could permit an even thinner iPhone, as the standard 3.5mm headphone jack is now its widest external port. But it would surely create an uproar. Even if Apple includes a new pair of compatible earbuds, third-party Lightning earphones are rare, and paying extra for an unsightly, easy-to-lose dongle is hardly convenient or elegant. An Apple representative declined to comment. The last time Apple swapped a major port, replacing its decade-old iPod dock connector for Lightning on the iPhone 5 in 2012, there were months of whining about buying new cables or newly obsolete speaker docks. But Apple, of course, survived the blowback. The company has already sold almost twice as many iPhones since switching to Lightning than it had sold before. And now Lightning is being used across other parts of Apple’s product lineup, including as a charging port for the new Apple TV remote control, Mac keyboard, and trackpad. Replacing the headphone jack would be a move straight out of the Apple playbook. The company often takes radical steps to achieve design or aesthetic goals, such as the original iMac’s “missing” floppy drive or the latest MacBook’s single USB-C port. In this case, Apple might also want to accelerate adoption of, and innovation around, wireless headphones, because they also work with the Apple Watch. What the design team first envisioned when we started working on MacBook was to say: If all we do is incremental, slight change, where’s the excitement? Where’s the value of Apple pushing things forward? We need to take bold risks. And if people don’t like it, well, they can keep buying the MacBook Air. They can keep buying the MacBook Pro. But: Why don’t we design a product that’s around this wireless world that has really no physical connection that you need—you can get by without ever needing that. Wouldn’t that be a better world? And in doing that we realized, yeah, but we do need to charge it. So let’s go create this one port that can charge and be USB and be your video out. And that way, if you need to connect, you can. You’re not giving that up. And if you do that, how far can you push it? How thin can it get? How light can it get? How aggressive of a design can it be?